Got a Shopify store? Ready to take it to the next level? Ready to make more sales with less effort? Let’s go. In Part 1 of the Complete Shopify Guide, we walked through the simple process of setting up a Shopify store from scratch (and how to get online in just 19 minutes). In this part, we’re diving deeper into Shopify’s box of tricks. The advanced techniques in this post will help you boost sales, entice more customers and improve the efficiency of your store. Some of the features in this post are packaged into the standard Shopify plan, but some will require an upgrade. The average cart abandonment rate online is 68.81%. In other words, 7 out of 10 customers are adding products to their basket and leaving without buying. That’s a huge number of sales you could be missing out on. 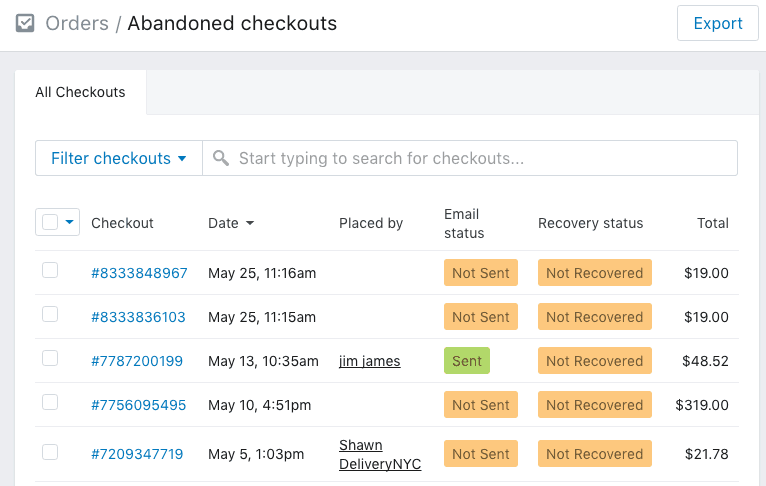 See for yourself by navigating to Orders > Abandoned Checkouts on your Shopify dashboard. Here, you’ll see a list of all the customers who placed items in their basket, but didn’t check out. What if you could send them an email and remind them? On the standard Shopify plan, your only option is to manually send an email to each customer one-by-one to remind them about their basket. By upgrading to the ‘advanced’ plan or downloading a cart-abandonment app, and you can set up a triggered email that automatically nudges every customer who leaves an abandoned cart. Get it right, and you’ll bring many of those customers back to complete their checkout. One of the trickiest aspects of running an online store is calculating the shipping costs. If you underestimate, you could end up losing a lot of money. Overestimate, and you might scare off customers with high prices. To avoid this, use ‘real time carrier shipping’. 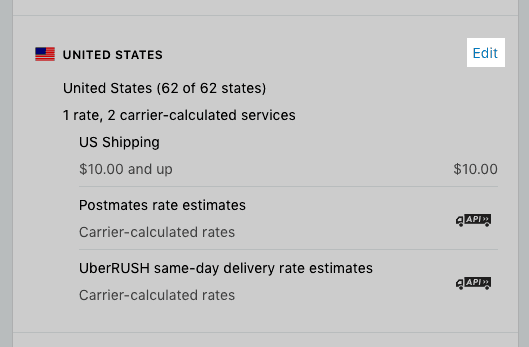 This calculates the exact cost of shipping for each customer based on their location and the size/weight of the product. To do this, you’ll need to activate the ‘Advanced Shopify’ plan and choose a carrier (UPS, FedEx etc) to calculate the rates. POS, (or ‘Point of Sale’) is handy if you plan to sell your products in the real world too. Perhaps at a pop-up shop, a market or a bricks-and-mortar store. 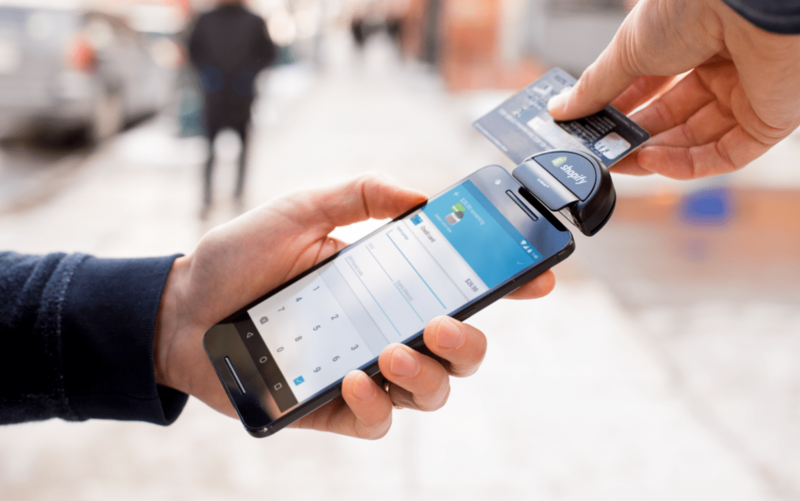 Shopify POS is an app that allows you to take payments in the real world using a card reader (which costs £59). Any sales are automatically linked to your online Shopify account so your accounts and inventory match up, no matter where you sell. By asking your customers to create an account before buying from you, it’s possible to track and monitor their information and purchase history. That might sound creepy, but it’s super useful. By having customer accounts, you can see exactly who bought what. Now it’s easy to identify your best customers. With this information, you can send targeted sales emails. Let’s say you own a book store and you sold 230 copies of a popular novel. A few months later, you start selling the sequel, and you want to email everyone who bought the first book to let them know. By tracking purchase history through customer accounts, you know exactly who bought the first book, so you can email them directly. To activate this, head to Settings > Checkout. Then set the customer accounts section to ‘optional’ or ‘required’. This will now ask customers to sign in or create an account when buying. It’s no secret that discounts and sales help boost revenue, but how do you do it in Shopify? The best way to do this is by using a Shopify app like ‘Bulk Discounts’. Using this, you can generate discount codes for dollar value, percentage discount or free shipping. 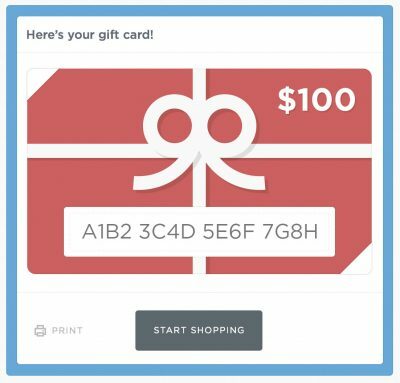 Gift cards are especially popular around the holidays, and Shopify makes it easy to create them. Navigate to Products > Gift Cards. Here you can create a gift card, just like you would any other product. You’ll need to upgrade to the mid-level ‘Shopify’ plan to activate gift cards. 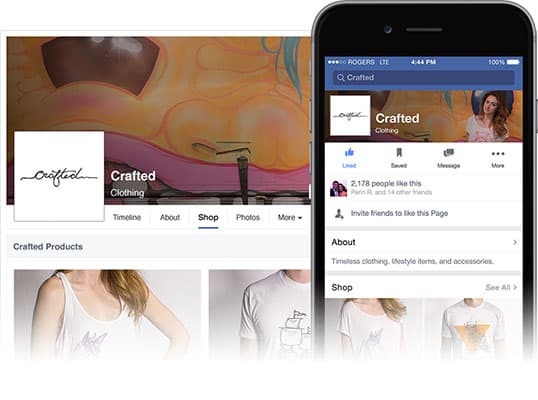 If you’ve got a big social following, you can recreate your entire shop on your Facebook page with a ‘shop’ tab. Customers can buy straight from you without having to redirect to your website, ensuring a smoother sales process. Using an API, the Facebook store automatically syncs payments and inventory with your Shopify account, so you still manage everything from one place. Start by navigating to Settings > Sales Channels > Add Sales Channel > Facebook. There are a few steps involved to hook this up, which Shopify outlines here. Dealing with packaging and shipping is easily the most time-consuming aspect of running a store, especially once the big orders start rolling in. 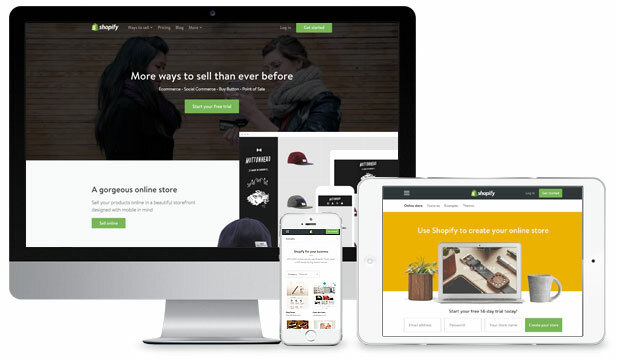 You can get Shopify to do the heavy lifting here – literally! By partnering up with existing fulfillment services, like Amazon or Rakuten, they’ll handle warehousing, preparation and shipping on your behalf. All you have to do is store your inventory at one of their fulfillment centers. To set this up, head to Settings > Shipping > Dropshipping & Fulfilment > Add Dropshipping Service and choose your preferred fulfillment service. Dropshipping is a whole new way to run an online store. The best part? You don’t need to buy a ton of inventory to get started. When a customer buys a product from your store, you then place an order with a third-party supplier, who then ships the product to your customer. As far as they know, it’s come straight from you. It just means you needn’t have a bedroom or warehouse full of inventory boxes. 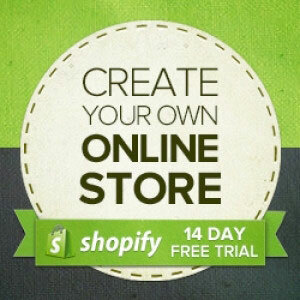 To set this up in Shopify, try using one of the many dropshipping apps such as Ordoro. They’ll help you partner with a supplier and manage everything from one place. Shopify promote a handful of expert partners in programming, design, marketing and photography to help get the most out of your online store. Shopify lists their experts according to price, location and specialization, so you can choose the right expert for your store. If you haven’t got the time or skills to get your store just right, this is useful (albeit often expensive) option. Analytics are essential for seeing how well your online store is performing. How many visitors are coming to your store? Where are they coming from? How long are they staying? And what website referred them? Navigate to the ‘reports’ section to download detailed charts on your sales, traffic and cart analytics. I also recommend integrating Google Analytics into your Shopify store. To do this, paste your Google Analytics code into the specified field on your Shopify dashboard (found at Online Store > Preferences > Google Analytics). Using these built-in tools, you can supercharge your Shopify store to generate more sales and more customers. At the same time, you can reduce the hassle behind the scenes. Do you have any experience with these Shopify tools? Got questions about how they work? Let me know in the comments and I’ll do my best to answer! In part 3, the focus is on search engines. How exactly do we tweak your Shopify store to rank high in Google searches? Look for it next week here on the Bitcatcha blog.